Henry (Skip) A.Youngblood , Jr. of Paw Paw, MI. passed away March 20, 2019, surrounded by his family at Rose Arbor Hospice. Skip was born on September 26, 1931, to Henry A. Sr., and Eleanor (Nellie) Youngblood in Blue Island IL. He was the 8th of 9 children in his family. Skip moved to Allegan, Michigan with his family as a child. He graduated from Allegan High School in 1949. He met Martha Anne Todd in high school and they were married on July 19, 1952 at Blessed Sacrament Church in Allegan. The newlyweds spent their honeymoon driving to Presidio Army base in California where he was stationed as a Private in the Army. He was stationed overseas in Germany from May to November 1953. After his service the family relocated back to the Kalamazoo area where Skip worked as a meat cutter and manager at several local grocery stores. Skip and Martha loved to road trip across the country and to visit with their children and grandchildren. Because he could never sit still, during his retirement Skip served as a president of the Eagle Lake Paw Paw Association, worked part-time as a delivery driver, and was always on the look-out for people who could use his help. Skip was an avid Spartan fan who loved watching MSU football and basketball and a lifelong fan of the Chicago White Sox. 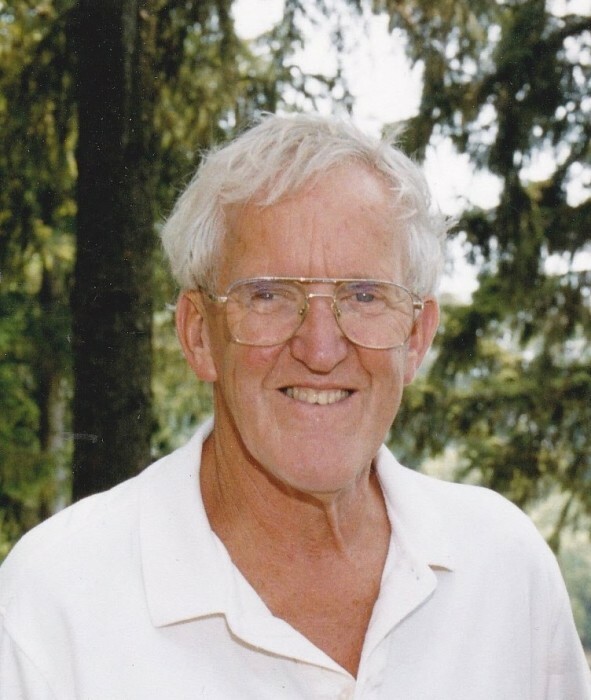 One of his greatest joys was spending time with family and friends on Eagle Lake in Paw Paw, where he would tow people behind the boat for tubing, skiing, or wakeboarding for hours. He was an excellent joke and story teller who was renowned for his “Skip-isms” and he never missed a chance to tell people to “go jump in the lake”. He was a devout Catholic and member of Holy Family Catholic Church in Decatur. He is survived by his beloved wife, Martha Anne and their children; Kim (Bob) Williamson, Mindy (Brian) Lee, Brian (Deb) Youngblood, Melinda (Bruce) Wright, Kori (Julie) Youngblood, and Julie (David) Burkey, 17 grandchildren and 12 great grandchildren. He is also survived by his brother Pete (Jean) Youngblood, sister in-law, Barb Youngblood, sister-in-law, Barb (Fred) Miller, many nephews and nieces, friends and the countless friends of his children and grandchildren who he considered family. He was preceded in death by his parents, 7 siblings, infant daughter Christine, and 2 great grandchildren. The family will hold visitation at Adams Funeral Home, 502 W. Michigan Ave., Paw Paw on Sunday, March 24, from 3-6 p.m., with Rosary at 6:00 p.m. On Monday, March 25th , there will be a visitation starting at 10:00 a.m. followed by a funeral Mass at 11:00 a.m. at Holy Family Catholic Church, 500 W. St. Mary’s Street in Decatur. A luncheon will be held immediately following the Mass at the church. In lieu of flowers, the family asks for memorials in Skip’s name may be made to Hospice Care of Southwest Michigan.